Cat owners know their feline friends can be too cool for school. With an air of quiet conviction, cats know how to watch the world go by with effortless style and grace. Our Campaspe shelter is currently bursting at the seams with cool cats patiently waiting for their chance to go home with a new family. According to Campaspe Shelter Manager, Kate Kemp, each cat and kitten available for adoption at the shelter has their own unique personality, meaning there is a perfect cat for everyone. “From kittens to golden oldies, we have a wide range of cats available for adoption; they all have their own unique temperaments and quirks, which means there is a good chance you’ll find your ideal companion,” said Kate. While some of Campaspe’s cool cats quickly find their new homes, two residents have been patiently waiting for their perfect match to come through the shelter doors. “Two of our long termers, Simon and Brice, have been waiting nearly 200 days for their chance to go home with new families. 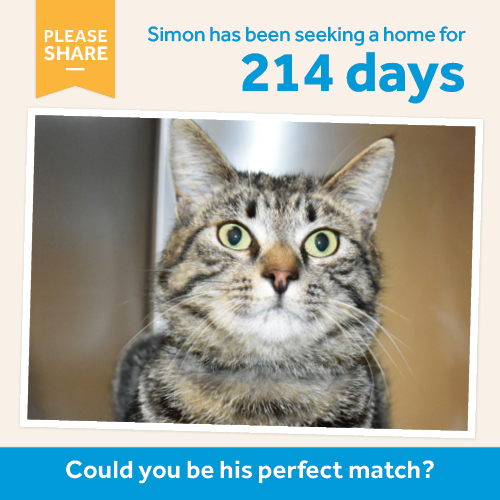 Two year-old Simon is a true gentleman, who can be a little on the shy side when you first meet him, as Kate and the Campaspe shelter team found out. 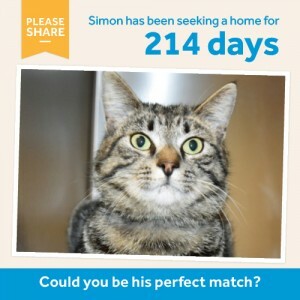 “Simon was a little shy when he first arrived at the Home back in September 2015, but over time his personality has shined through. “He has plenty of affection to share with everyone and loves just spending time with those he knows best. “With the right family, who is willing to be patient while he adjusts to his new surroundings, Simon will flourish into a loving family member,” said Kate. Adventurous two year-old Brice is a true explorer who has been patiently waiting for 198 days. During his time at Campaspe, Brice has let his true personality shine, much to the amusement of the shelter staff. “Brice loves checking out his surroundings, he embodies the notation of curious cat! “We have to tell people to not be deterred by his profile picture; Brice was too busy checking out his surroundings that he didn’t want to sit still for his photo! 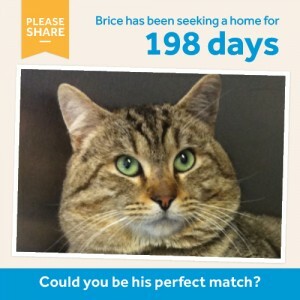 “Like Simon, Brice has a beautiful temperament and will make a great addition to any family wanting to adopt a colourful cat into their lives. Until April 30 The Lost Dogs’ Home will waive the adoption fees of all cats six months and older at our North Melbourne and Campaspe shelters. Kittens under six months will have their adoption fees halved to $90.